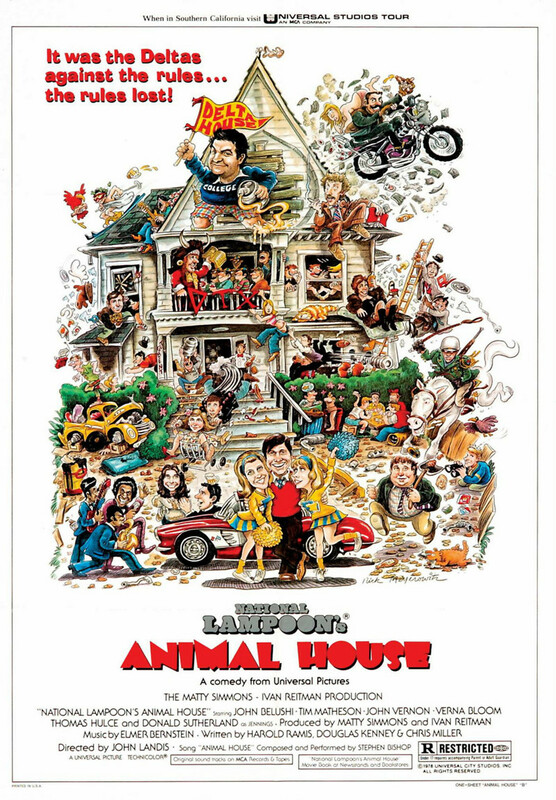 This classic comedy movie is centered around a 1960s college fraternity house, Delta Tau Chi. The fraternity is known for outrageous partying and wild members who's actions are putting them in danger of loosing their charter. The traditional college administrator, Dean Vernon Wormer, would like nothing more then to expel every member of the fraternity from his college. Things spin out of control as the determined frat boys and their friends do everything in their power to outwit Dean Wormer and the other members of the school's administration.